A couple of months ago I blogged about Hallmark Cards contacting me to license my squirrel drinking a cocktail photograph that's shown above. Well, they licensed my picture again! According to the contract, Hallmark Cards will pay me every time they want to license the image for a new design concept, and that includes if the sentiment on the card changes. So now they have two design concepts to work with and they've licensed my photograph for three years for each concept. I'm of course very happy about this new development. Artists and photographers can't even submit their work to Hallmark, so I'm especially thrilled that they searched me out in the first place. My photograph has been licensed for cards only, so hopefully at least one of the design concepts will make its way onto published greeting cards in the not too distant future. I can also continue to sell the image on my own. 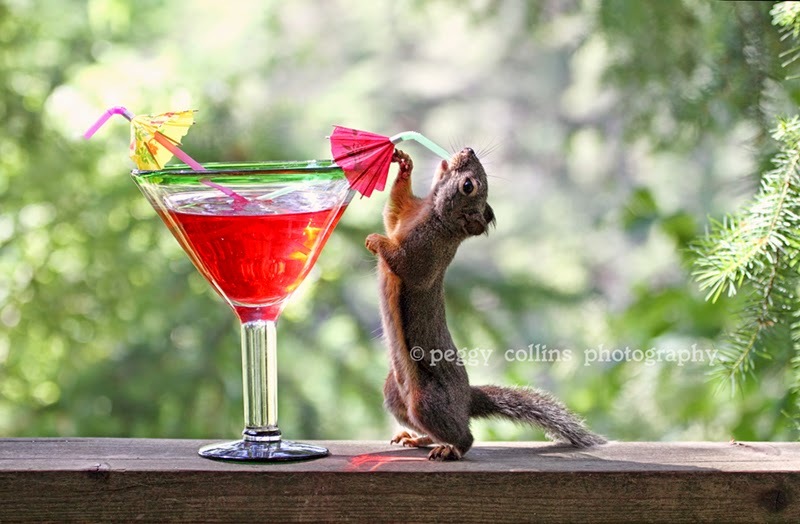 If you're interested in purchasing a print of Tipsy the Squirrel enjoying her cocktail, please click on the photograph above to be taken to my third-party printer, Fine Art America.